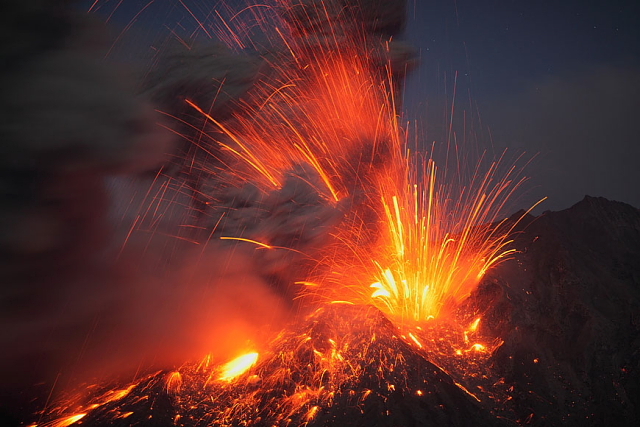 On a recent visit to Japan, alien landscape photographer Martin Rietze captured some spectacular images of Sakurajima volcano in Kagoshima prefecture. The photos were taken between December 24, 2009 and January 10, 2010. Taking advantage of making the first comment I'd like to say that this blog is awesome. I always find the content very interesting and original. 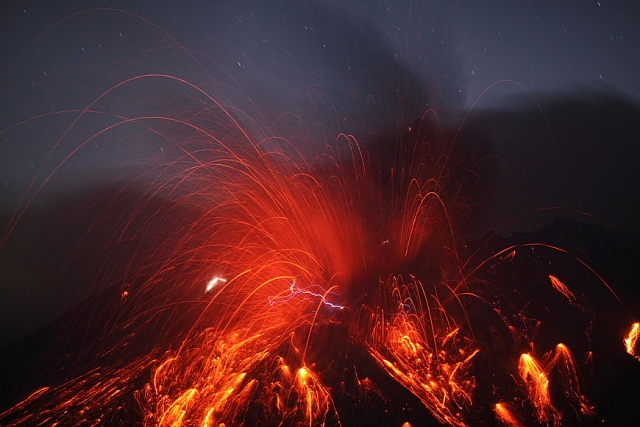 I actually got see Sakurajima up close when I went to Kagoshima. It's something like 4 km off the coast! Though it didn't erupt while I was there, it rained ash for hours, and spewed smoke. Fantastic thumbnails! Can you publish larger photos please? Because it is a daily occurrence, being reported as news is rare. 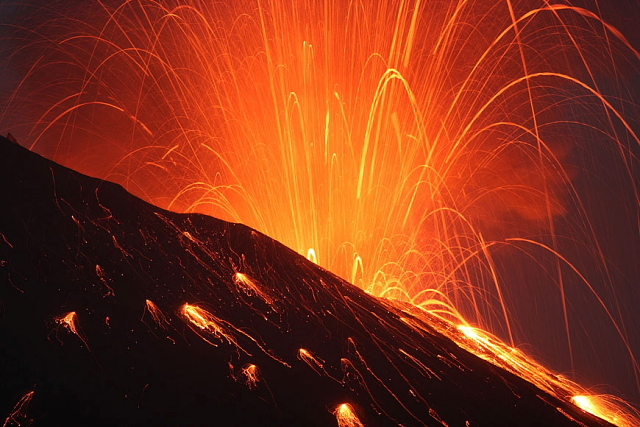 There is an image of the eruption in youtube. Wow, these photos are so breathtakingly excellent! Spectacular indeed. FIRST PHOTO EVIDENCE OF MOUNT DOOM! Beautiful photos! 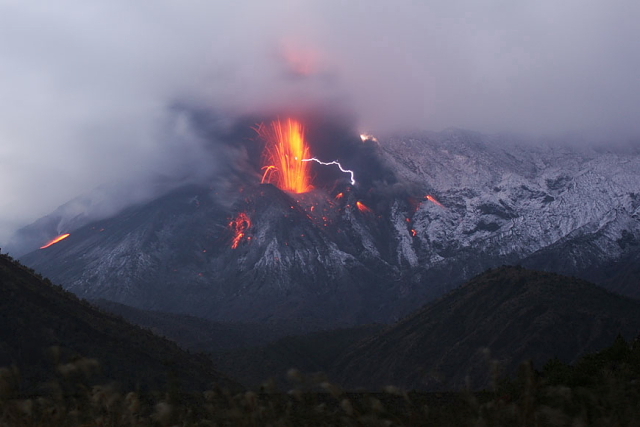 I didn't knwo it was still erupting either! I am wondering how these photos were taken? 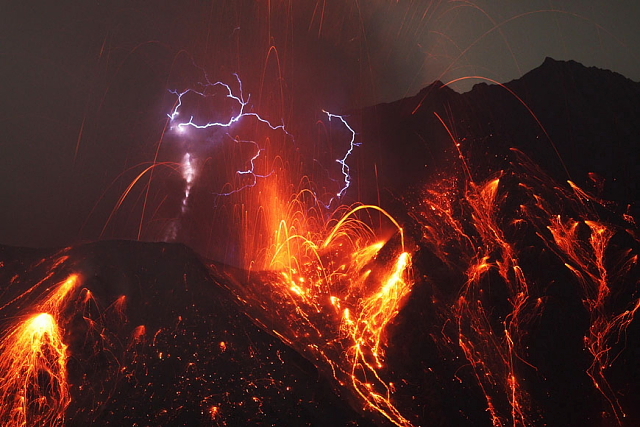 the movement of the molten rock in the air suggests a long exposure time, however the lightning is still visible etc and all perfectly exposed.. what techniques were used here? Nature at her most awesome!! Holy crap these are amazing! 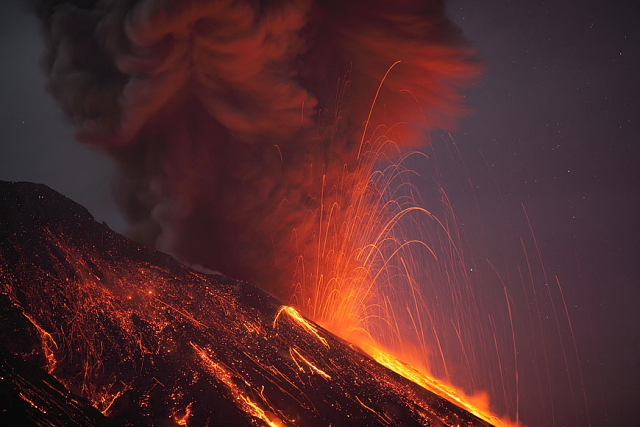 hauntingly beautiful pictures...lava makes such a great subject. Thanks for sharing. Oh the wonders of Photoshop..
realy curious.. how far away wer u from this magical event! Tja, zulke foto's maak je in Nederland niet gauw! Breathtaking! It's like a light show, only better! Lights, camera and so much action! Amazing photos. Thanks for sharing. 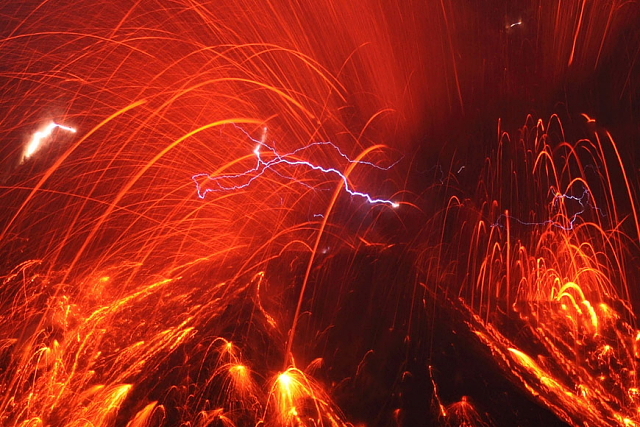 If the volcano itself was not badass enough, now there's lighting... enjoy! So beautiful and so deadly! Great pictures. Great photos. I'm quite fascinated with the vantage point. How on earth did he get so close wihtout dying? Hey guys! Quick question, the lightning, how did they form in this particular case? These are absolutely amazing pictures! Camera, check. Tripod, check. Asbestos suit, check. Amazing pics, thanks for sharing! 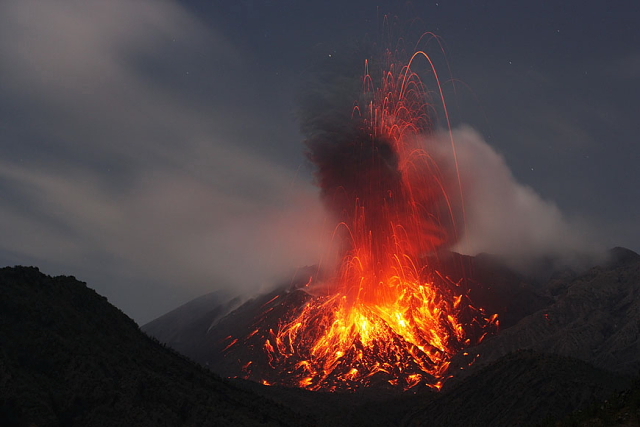 Photos of Sakurajima volcano ::: Pink Tentacle | BlogueIsso!